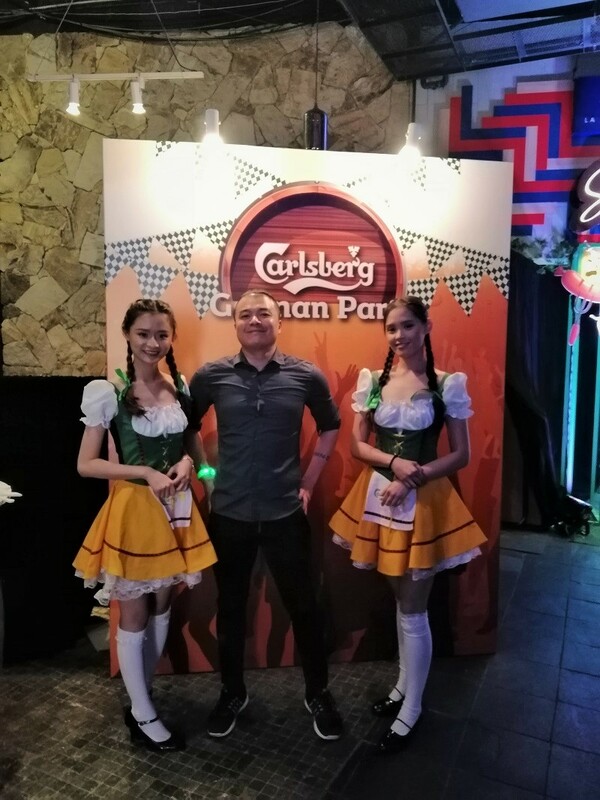 Carlsberg has the best events. You’ll never lack for delicious food, refreshing beer and great company. I was lucky enough to be part of 300 people invited to a preview of “Probably The Best Party”. 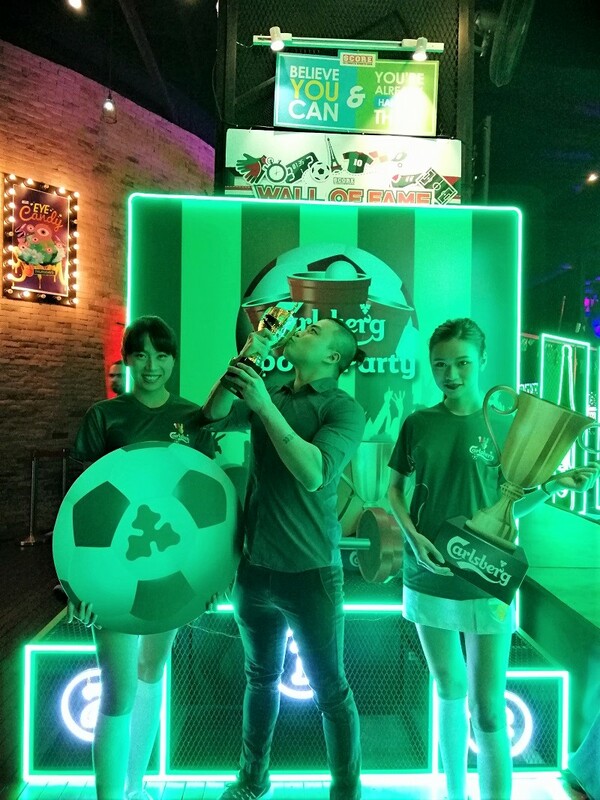 Carlsberg showcased the First Prize of a promotional campaign for guests and media. I repeat, this will be an actual one-of-a-kind experience for 50 lucky winners and 80 of their friends. You’ll get to choose a venue and theme of your choice if you win. You’ll be the most popular guy in your friend list! 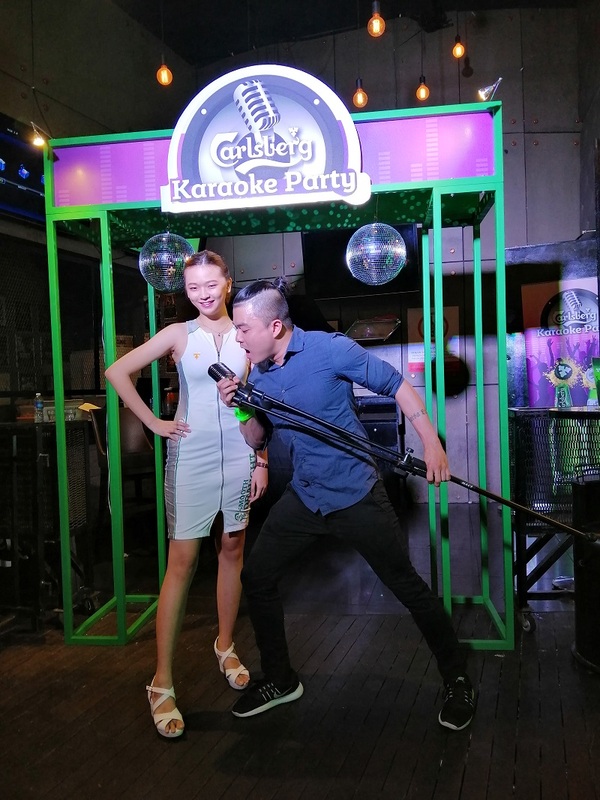 There are five themes that winners can choose from – Oriental, Kollywood, German, Sports or Karaoke Party. 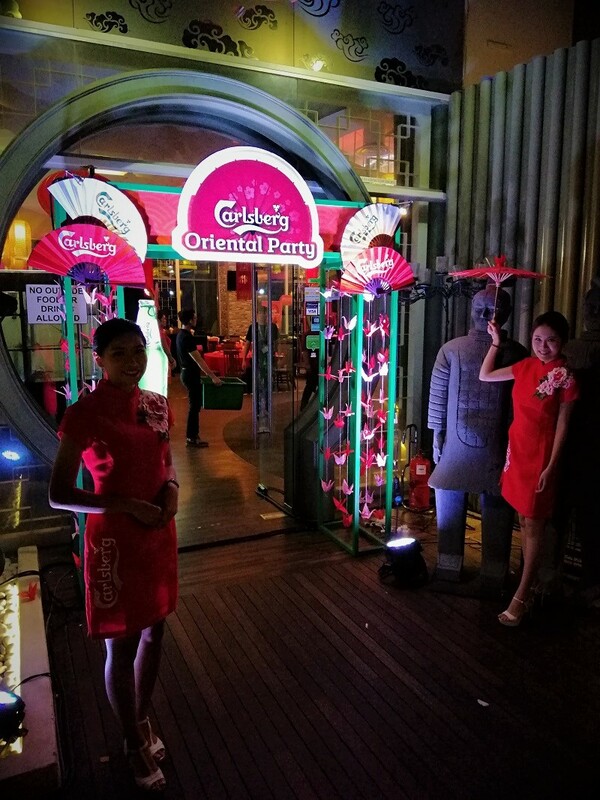 The Roof was transformed into a magical wonderland to give the guests a taste of what the winners will get to experience. 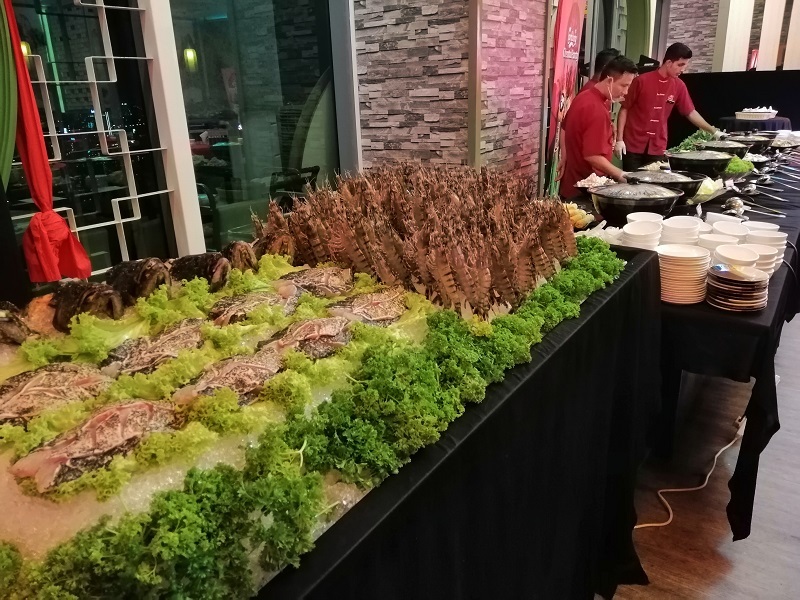 There are also different themed food at each venue e.g. Indian food at Kollywood, Bavarian fare at German, snacks at Sports. I started out my night with the Oriental Party at Yezi. I did a detailed survey of all the themes and decided this offered the best selection of food items. You have slices of fresh fish and huge prawns ready to go into the steamboat broth. I probably ate 4 plates of fish slices, but none of the shrimp coz I’m lazy to peel them. It was delicious! 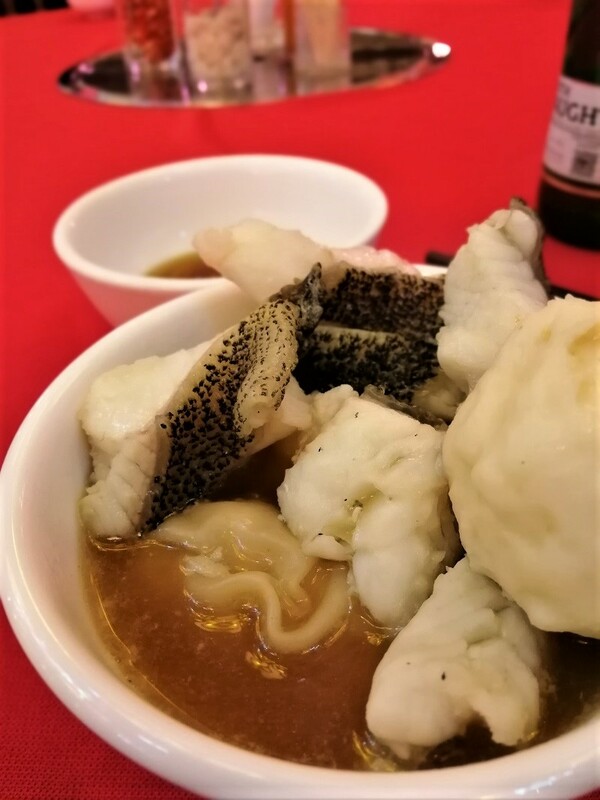 I tried all their soup bases and my favorites are the truffle and Shaoxing wine ones. I managed to glean the recipe of their delectable dipping sauce from the owner. It’s coriander stalk boiled with soy sauce and sugar. Simple, yet yummy. The first performance of the night was a duo of Oriental pole dancers who mesmerized the crowd. I believe the only eyes not on them were watching through a viewfinder or mobile phone screen. 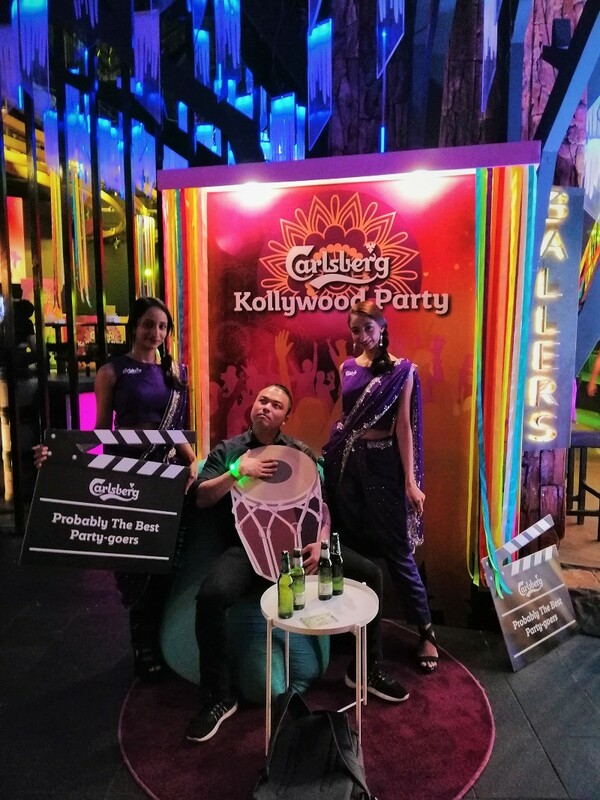 Kollywood Party @ Ballers was home to a really hype Indian performance that had the guests dancing along. I was tempted to as well and would have if I wasn’t carrying my backpack from work. I came here straight from the office. 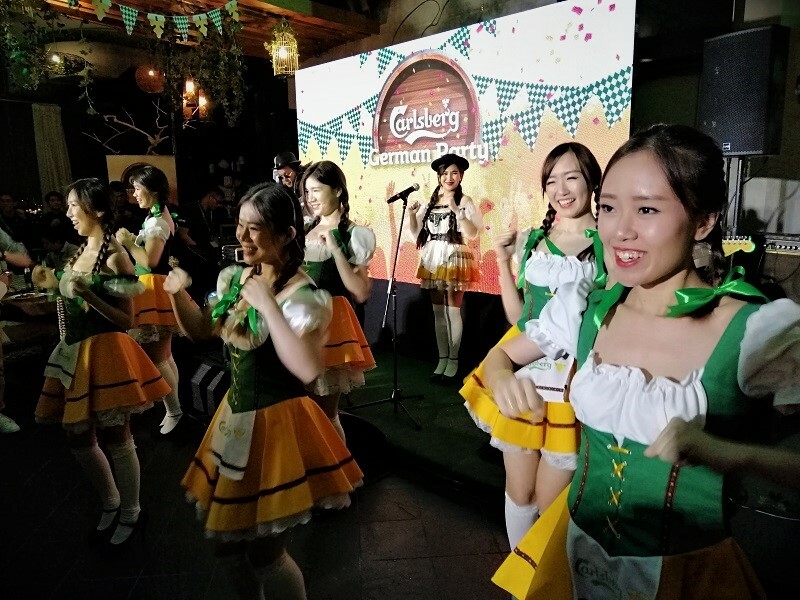 German Party at Signature had a band and the Carlsberg promoters got everyone to do the chicken dance. I had fun singing along to the band. Crowd favorites like YMCA were played and we did the hand movements to go along with it. Sports Party @ SCORE features sports themed performances and had footballers doing tricks. Karaoke Party at Play was where we adjourned for the rest of the night. This was my favorite theme due to the insane performance by Mad August. 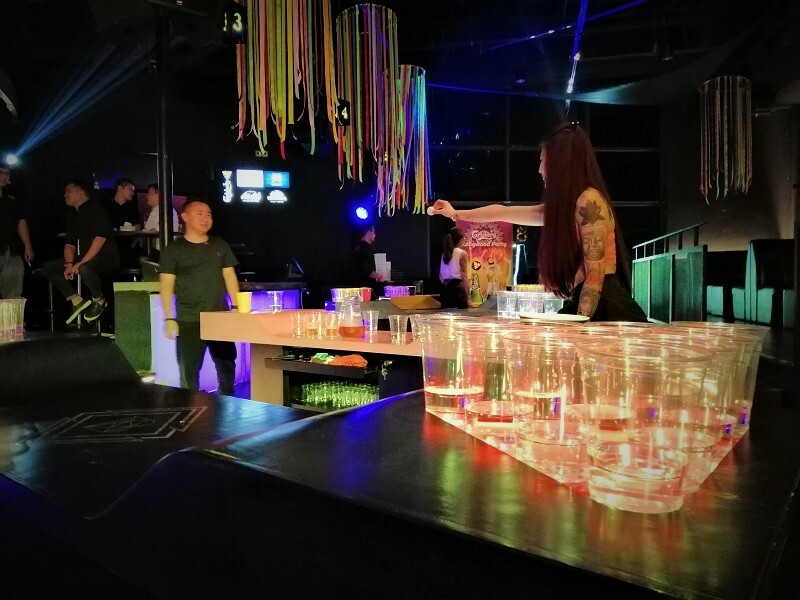 They played everything from Cantonese rock classics to Nirvana. It was excellent. We drank and sang along and had tons of fun. There were lots of interactive activities like Loudest POP Challenge, Giant Stein Challenge etc. 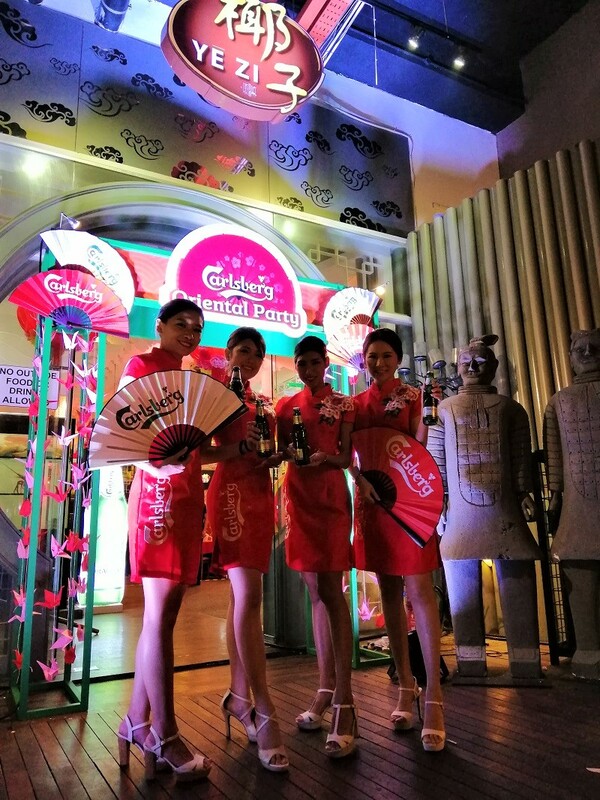 The free flow of beer and food made it a very festive environment. We were given a pass to get chopped at each station for a goodie bag which we were supposed to redeem at the end of the night. I promptly forgot to do that coz I overindulged in the amber fluid. I could barely get into a Grab as it was. An excellent night of fun! I had a blast. BTW, there have already been three lucky First Prize winners in this promotion! These 3 will be partying with 80 of their friends in the upcoming weeks. The campaign runs till end of November and there will also be three Grand Prize winners who will each enjoy an all-expenses paid trip with five friends for “Probably The Best Winter Party” in Copenhagen, Denmark. I would rather win this than the First Prize party coz I’ve never been to Denmark. Haha. 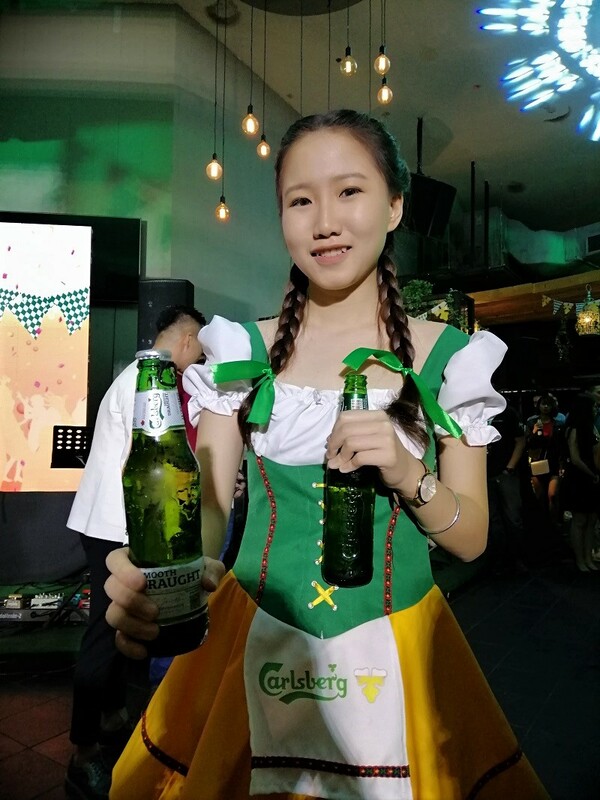 Grab your chance to win “Probably The Best Party” by checking the inside of the bottle caps of big bottles when you enjoy Carlsberg or Carlsberg Smooth Draught at participating coffee shops and food courts. If you drink at bars and pubs, you can check your Gift Cards when you’re there. Supermarkets, hypermarkets and ecomm platforms are not left out coz the Gift Cards will be included in the inner panel of Carlsberg and Carlsberg Smooth Draught 6-can packs! You will also receive a Gift Card for purchases RM 15 and above at convenience stores. There are 47 more lucky First Prize winners to go! Don’t miss out on this chance of a lifetime to host Probably The Best Party for 80 of your friends for free! 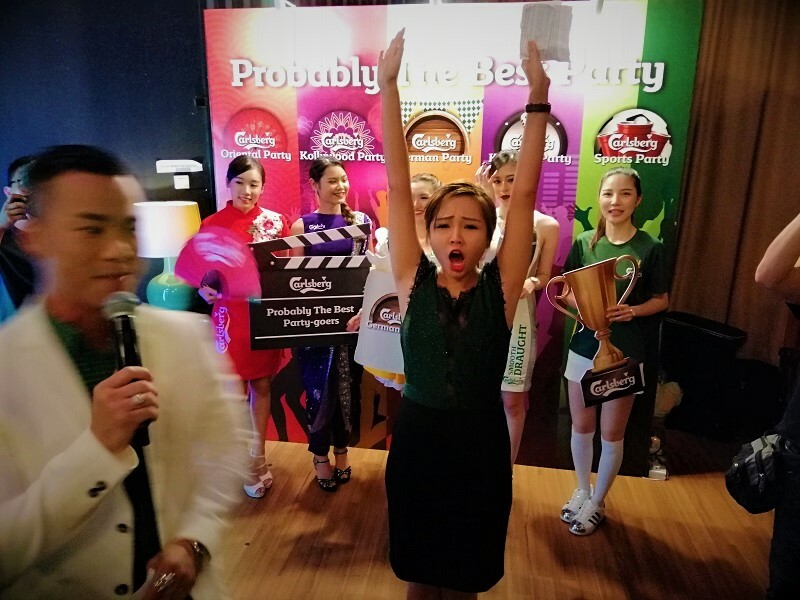 Follow www.facebook.com/CarlsbergMY or visit www.probablythebest.com.my for more information.